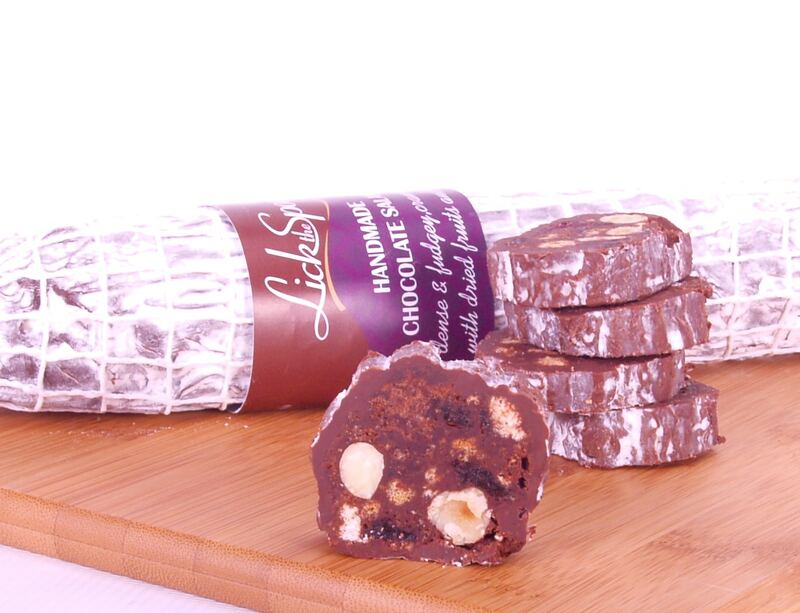 Our fun and delicious Chocolate Salami was a Gold award winner at the 2014 Great Taste Awards! It has no actual Salami in it! It’s a deliciously moist recipe made with chocolate, hazelnuts, cranberries, pecans, ginger, raisins and a good dose of rum and brandy – hic! The recipe is based on our panforte cake which was a great hit in 2013 and even went out in some very special hampers to past Prime Ministers and Royalty! Our fun and delicious Chocolate Salami is a Gold award winner at the Great Taste Awards! It has no actual Salami in it! It’s a deliciously moist recipe made with chocolate, hazelnuts, cranberries, pecans, ginger, raisins and a good dose of rum and brandy – hic! A Christmas best seller it has even been supplied in some very special hampers to past Prime Ministers and Royalty! Dark Chocolate 75% cocoa solids. I had a piece of this in the Cirencester shop with a coffee. Simply delicious. I received the salamis a couple of days ago….very happy to get them through the mail order! I will be placing a repeat order with you soon. 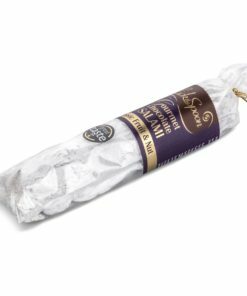 I bought the chocolate salami for all my children’s godparents. Everyone has loved them. A real quality and unusual gift. They are delicious. Ordering was easy and delivery on time. Couldn’t be easier. So good to support independent suppliers who produce superior products. Will be back. Thank you for my little bar of chocolate that came with the order-a lovely touch. Totally delicious, a real indulgence. So intense one slice is probably enough but we had to have two (will power’s a poor second to this kind of temptation)! 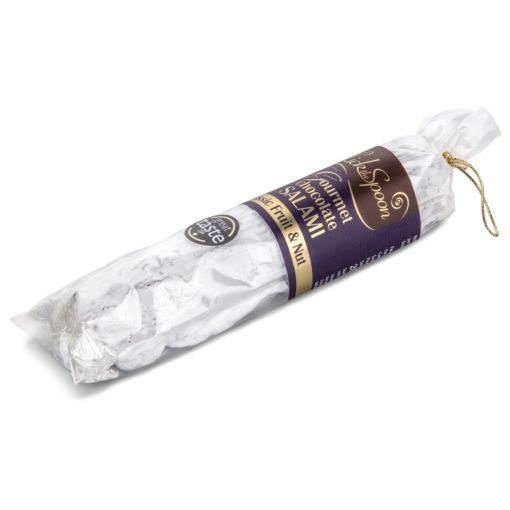 The chocolate salamis are ridiculously good. I am something of an addict. Exquisite.